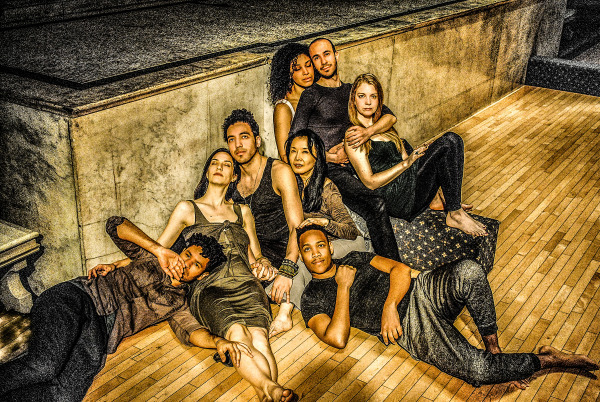 CROWDED OUTLET is proud to announce the New York premiere of Marisa Michelson‘s Constellation Chor, an ensemble working at the intersection between voice, movement, storytelling, healing, meditation, gesture, inner-development, Deep Listening, and Musical Theatre. Assembled by Michelson (Jonathan Larson Award Grant winner, Tamar of the River) and featuring many multi-hyphenate artistic creators, the experiment will be performed Sunday, October 16th at 5pm at Judson Memorial Church. Tickets are invitation-only. After nearly a year of weekly explorations, Constellation Chor is pleased to make their public debut. A collective of singer-dancers, -composers, -actors, -musicians, -writers, The Marigold Chor Ensemble explores composition as improvisation and improvisation as composition. The ensemble includes Marisa Michelson, Chad Goodridge (Obie Award, Passing Strange), Nikko Benson (2016 Jonathan Larson Award Grant winner, Nikola Tessa Drops the Beat), Jen Anaya (Tamar of the River), HeathCliff Saunders (NYMF Award for Best Musical, Best Lyrics, Natasha, Pierre, and the Great Comet of 1812), Ako (Kentucky), Tamrin Goldberg (Tamar of the River), Shaun Shafner (I’ll Never Love Again), Nickolas Vaughn (Scheherezade), Troy Burton (Tamar of the River), Kalli Siamidou (Asters Team), as well as regular ensemble members Aubrey Johnson, Patrick Cragin, and Marina Pires, who will not be featured in this presentation.